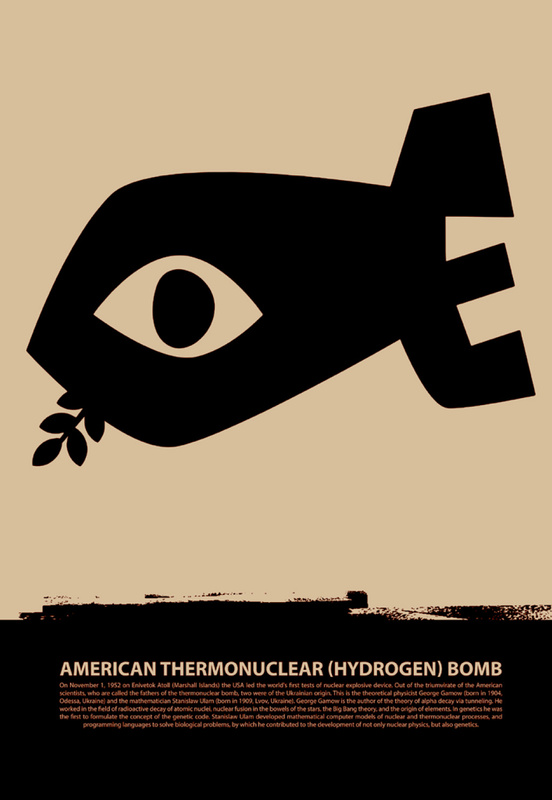 On November 1, 1952 on Enewetak Atoll (Marshall Islands), the United States led the world’s first hydrogen bomb test. The triumvirate of American scientists credited with the development of thermonuclear bomb included the two of Ukrainian descent. These are a theoretical physicist George Gamow (born in 1904 in Odesa) and a mathematician Stanislaw Ulam (born in 1909 in Lviv). Gamow was an author of the theory of alpha decay via quantum tunneling, as well as studied subjects of radioactive decay of the atomic nucleus, star formation, the Big Bang nucleosynthesis and molecular genetics. On the other hand, Stanislaw Ulam designed mathematical computer models of nuclear and thermonuclear processes and programming languages, which addressed biological problems. These were later used not only in the area of nuclear physics, but also in molecular genetics.